Eat well. Preferably, eat smaller meals as the day goes by and eat frequently. Make it a habit not to eat after 9 pm. Keep your weight stable and within normal limits. Being overweight can predispose you to certain cancers and diabetes, not to mention, heart attacks, strokes and leg ulcers. Get your general practitioner to do a physical examination and if necessary, run some basic blood tests. Avoid the 4”S”: sun, stress, smoking and sleepless nights. These can hasten your aging! Think skin rejuvenation i.e. ; microdermabrasion, peels and laser skin tightening. These will give your skin a deﬁnite glow! 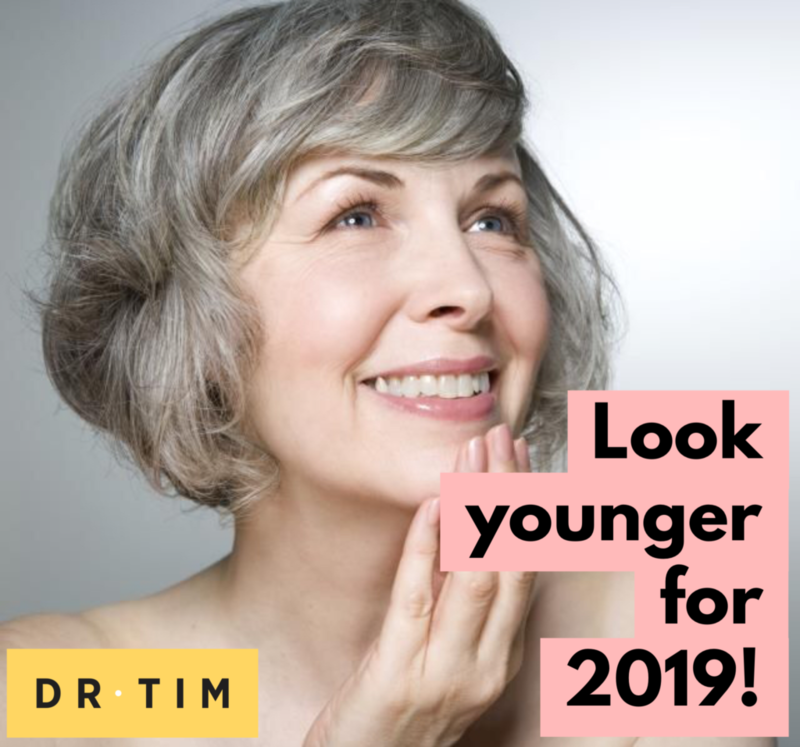 Start getting anti-wrinkle injections to iron-out those wrinkles that make you a more youthful appearance! Use ﬁllers to pump-up that lost volume in the cheeks etc. As we age, the fat melts away in certain pockets in the face as does the underlying bony platform. The end result is excess skin that combines with gravity to make it sag. This eﬀect can be countered by using either synthetic ﬁllers or fat injections. Think minimal scar surgery to rejuvenate the face e.g. a neck lift or remove those bags under the eyes. Think about a surgical rejuvenation of the upper eyelids and brows by giving them a lift. The eyes and brows are often the ﬁrst signs of aging in a woman and they usually start to sag in their early 40s. Remember, ”the eyes are the windows of your soul” and may tell us a lot about your self-esteem and body image.